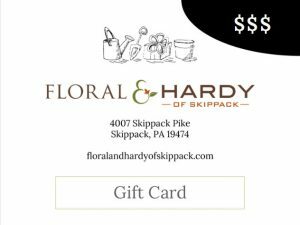 Here are answers to some of the more common questions we here at Floral & Hardy. For more answers to our questions please review our Gardening Guide or drop us a line. 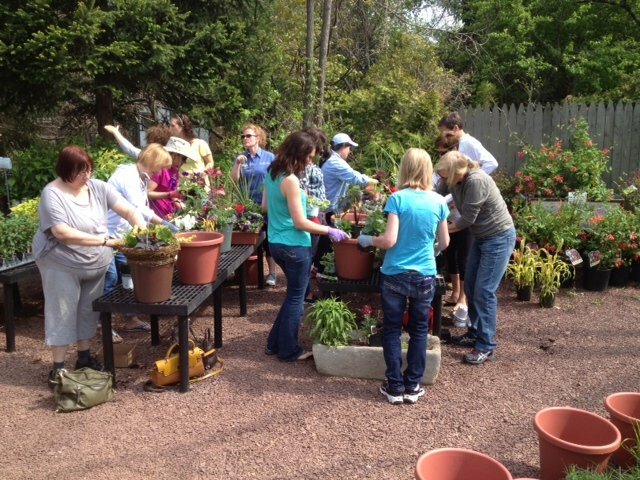 We’ll be happy to help make your gardening fun, colorful and rewarding. A nonwoody plant which grows and lives for more than two years. 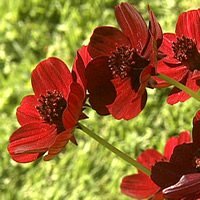 Perennials usually produce one flower crop each year, lasting anywhere from a week to a month or longer. It describes a plant with soft rather than woody tissues. A native plant grows in a particular region and was not introduced or naturalized. How should I water new plantings? Saturate the bed within an hour of installation. Do again within 48 hours. Then soak with 1 to 2” every 4-5 days. Do this for three weeks, and then back off to a strict schedule of 1” every five days until season’s end. pH is a measure of the amount of lime (calcium) contained in your soil. A soil with a pH lower than 7.0 is an acid soil, a soil pH higher than 7.0 is alkaline soil. What does 10-10-10 fertilizer mean? These number represent the per pound content of nitrogen, phosphorous and potassium in a bag of fertilizer. 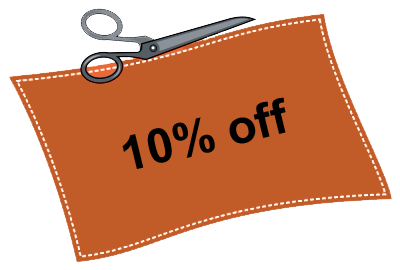 The 10-10-10 numbers mean that per pound of fertilizer, there would be 10% of each nutrient. 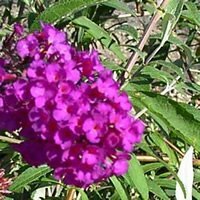 Why should I deadhead my flowers? Deadheading is an important task to keep up with in the garden throughout the growing season. Most flowers lose their attraction as they fade, spoiling the overall appearance of a garden or individual plants. As flowers shed their petals and begin to form seedheads, energy is focused into the development of the seeds, rather than the flowers. Regular deadheading, however, keeps this energy on the flowers, resulting in healthier plants and continued bloom. Snapping or cutting dead flower heads can enhance the flowering performance of many perennials. The ideal mulches are life based; that is, from living tissue (as opposed to rock or plastic) such as: wood chips, bark, root chippings, pine needles, grain straws, shredded leaves, and so on. Mulch forms an insulation blanket to conserve moisture, protect roots from summer’s heat and winter’s cold. Mulch also helps suppress weeds. Aside of good watering, mulching is the single most important thing you can do to assure garden success. Recommended depth is 2 to 4” on new plantings. Over time, mulch decomposes so refresh it annually by top dressing with another inch or so. When should I prune my clematis? Type 1: This clematis bloom on last year’s growth. Prune to keep them in desired shape and to remove dead wood. 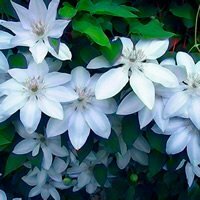 The best time to prune this clematis is right after it flowers. Type 2: This clematis is large flowered hybrids with varying bloom times. They bloom on ‘old wood’ which should be removed in early spring after leaf-buds begin to open. Dead-heading this clematis can increase the number of flowers for the summer bloom. How can I over winter my perennial container? Yes, but there are several precautions you must take. The first thing you must do is to choose containers that can be left outdoors during the cold winter months. This eliminates nearly all terra-cotta and most ceramic pots since winter freezing and thawing will put cracks in these containers. Instead, pick out containers made of wood, fiberglass, reconstituted stone, plastic, or concrete. Second, it’s important to select perennials that will be container hardy in your zone. 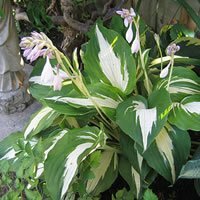 Generally it’s a good idea to choose plants that are two zones hardier than the zone you live in. So, for our area, select plants hardy to zone 4 for your container. If you keep the container on a sheltered place or on the south side of your home you might be able to over winter zone 5 plants in containers.